Language Objectives: This lesson focuses on using ‘How much’ to ask about the prices of things. 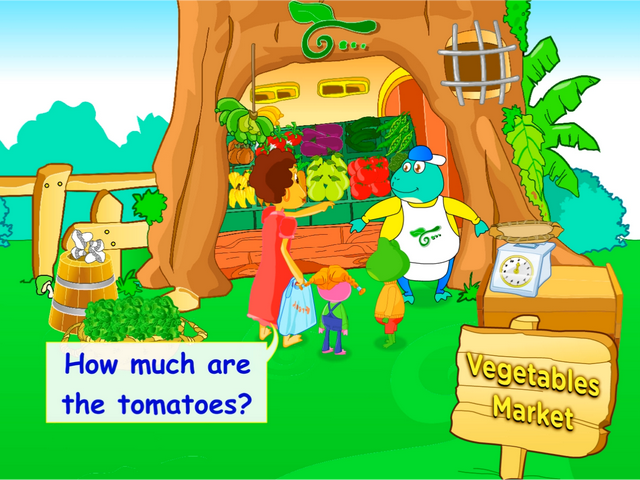 It also teaches measurements in kilogram and what better way to do this than using vegetable vocabulary. Dialogue Story: Freddie and Lis are accompanying Mom to a vegetable market. They ask and buy different vegetables to take home. A struggle over who carries the shopping bag arises between Freddie and Lisa. How much are the carrots? They are two dollars a kilo. How much are the tomatoes?